The U.S. National Whitewater Center (USNWC) is a non-profit outdoor recreation and adventure sports facility. Alongside mountain biking and running trails, a climbing center, zip-lines, flatwater kayaking, high rope courses, and a canopy tour, the facility’s most unique feature is a multiple-channel, customized whitewater river for rafting and paddling enthusiasts of all abilities. 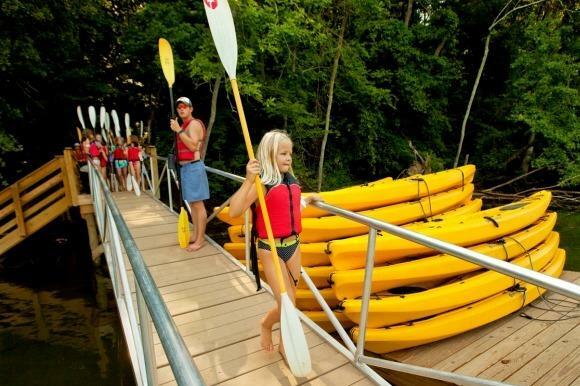 The USNWC is just minutes away from downtown Charlotte and is situated on over 400 acres of woodlands along the scenic Catawba River. The USNWC is proud to be a U.S. Olympic Training Site that provides outdoor recreation for families, outdoor enthusiasts of all ages, casual observers and Olympic-caliber athletes.